“What’s Cancer? Breast Cancer” helps families understand what breast cancer is and the affects. 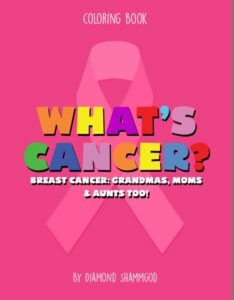 The coloring book includes, risk reduction methods and different ways to support people who may develop cancer. Yes, it’s coloring book as well! Studies has shown that children learn best through play, during the early stages of their lives. “What’s Cancer? 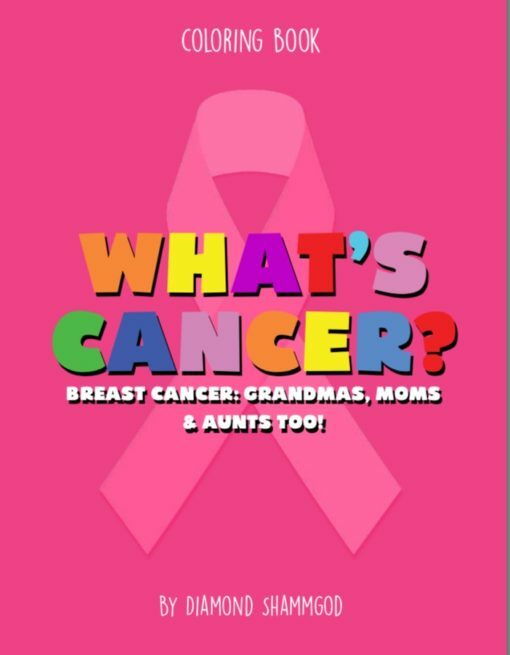 Breast Cancer”, also promotes, parent & child interaction, health eating, exercising and helps with pronunciation. A parent section is located in the back of the book to assist parents with further understanding.